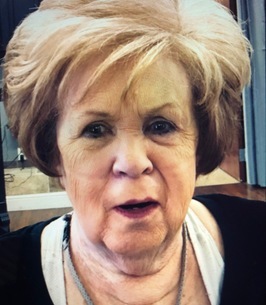 Linda Kay Green, 75, of Springdale, Arkansas passed from this life September 4, 2018 at her home. She was born July 6, 1943 in Stuttgart, Arkansas to Earl and Hazel (Mitchell) Cummings. She is preceded in death by her parents and a sister, Hazeline King. Linda was a member of First United Methodist Church of Springdale and a volunteer at the Bread of Life Food Pantry. Left to cherish Linda’s memory are her husband, Jim Green; her children, Alicia Demarest (Chris), Breck Woodson, Al Green, Cara Woodson, Mike Green, and Clay Woodson (Tracy); 17 grandchildren and 10 great-grandchildren. A Memorial Service will be held at 2:00 p.m., Saturday, September 8, 2018 at Westfield Chapel Funeral Home in Springdale. 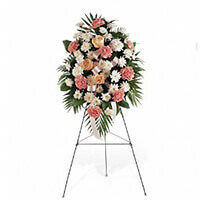 To send flowers to the family of Linda Kay Green, please visit our Heartfelt Sympathies Store. Our love to a special, lovely lady who was loved by us all. We are so very sorry for your loss. Please find comfort in God's sure promise of a resurrection as set forth in the Bible (Acts 24:15, John 5:28, 29). Those who are raised to life on a restored paradise earth will have the prospect of never again being subjected to misery, sickness, and death (Revelation 21:4). These and other comforting Bible verses and thoughts can be found at jw.org.